Cats love to explore and need the inspiration and excitement that comes from the outdoors to help keep them their happiest! You should never allow your cats outside unsecured, so an escape proof cat harness is a great option for not only allowing your cat some outdoor freedom – but to create a bond with your cat that will last a lifetime! We hope this comprehensive guide will help you learn how to choose the right cat harness to keep your cat happy and free from escaping. If you watched Garfield, you know that the outside world can be dangerous to cats. Well, pretty much all movies featuring domesticated pets feature the world outside the door as a perilous place. When you have a pet used to living indoors, you do not want them exploring the neighborhood all by themselves. One way to ensure that your pet will have a fun outing without putting themselves at risk is to keep them on a leash. A cat harness would be the perfect equipment for that purpose. This will allow your cat to learn the kind of environment outdoors and allow them to exercise and release some stress. With a cat harness, you do not have to worry about your kitty slipping out. Compared to a collar, the harness does a better job of keeping your cat secured. Collars tend to choke your feline when you pull on it and you can avoid that when you stick to a harness. Measuring your cat properly to get the right size harness to prevent them from escaping is the most important part of your purchase! The best option for measuring a cat is to get a pliable tape measure like those that are used for sewing or crafts. These will allow you to easily wrap it around your cat. You need to get their neck size and then their chest size (or girth). This chest point is right behind their front legs. Once you have these 2 measurements you can then order the right size harness for your cat! The video below should help you when you are ready to make a purchase! Cats are naturally curious creatures and if you are planning to introduce them to the harness, you can use this to your advantage. Allowing your felines to get used to the harness is the first step. You need to leave it in a place where your cat can see it all the time. You can use treats to lure your cat to the harness. Once they are used to the item, you can try using the harness on your cat. Just allow your cat to wear the harness inside your home up until they get used to it. 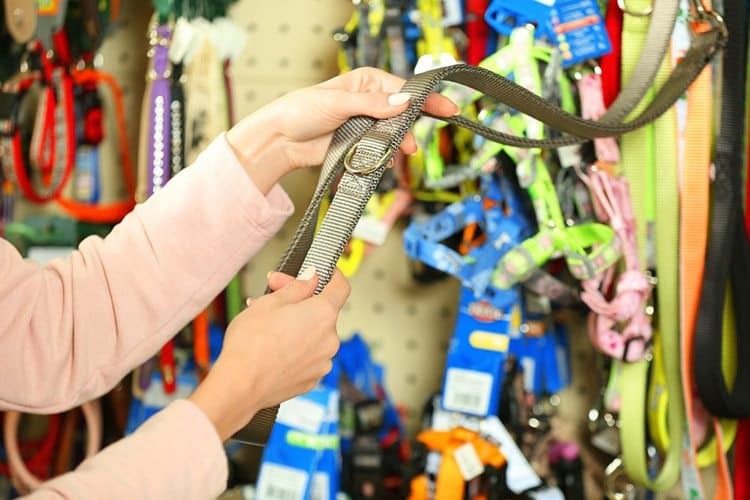 When it comes to introducing pets to a new leash or harness, giving them enough time to get used to it is necessary. One tip is to associate the harness to meals and treats. This method will allow your felines to associate wearing a harness to a positive experience and it is more unlikely for them to resist wearing the item. Once your cat doesn’t feel awkward with a harness, you can try taking your cat out for a walk using it. You need to encourage your pet to make a step and explore but at the same time, you do not want to pull on a hesitant feline. You want the walk to be a positive experience for your cat and the best way to make that happen is to be considerate during the process. Always use positive reinforcement in training your cat. You can use treats as a reward if they do a good job while outside. While it could take some time to get your felines used to the harness, it would be a great experience to teach kitty to go for a walk. Now that you have a better idea of why your cat needs a harness and how it can benefit you too, it’s time to move on to the steps in choosing the right one. With so many options, you may be overwhelmed on which item to pick. Here are some pointers to help you out in the process. 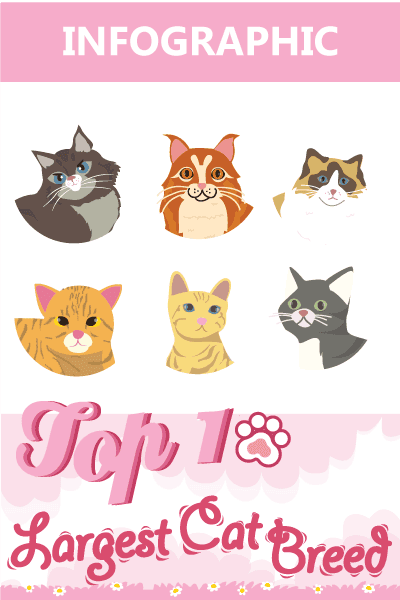 What kind of temperament does your feline have? There are three types of harnesses: V, H, and 8-figure. If you are concerned that your cat will have neck injuries, the H harness is a good choice. This type of harness will reduce the amount of pressure on your feline’s neck. Even if your pet pulls away, their neck will not be injured. Meanwhile, if you have a cat that can escape collars easily, the 8-figure harness is the better choice. This type of harness will tighten when your kitty pulls forward but it will not cause pain to your pet. Aside from design, the material is another major consideration. Out of all the materials that a harness can be made of, cotton and nylon are the better choices. Leather may be a popular choice and it could look cool but stay away from this material. The leather is heavy and it can be uncomfortable for your feline friend. Cats come in all sizes and you need a harness that can accommodate your kitty’s size. One important feature to look for in a harness is its adjustability. You need something that would be able to fit your cat’s size while remaining comfortable. Aside from having the necessary adjustment features, you also want to look for a harness that is easy to use. You want something to fit your cat’s size while ensuring your pet’s safety. To be useful, you also need a cat harness that can withstand your cat’s energetic nature. You want your cat to wear a harness so you can take him or her out on a walk without worries. Hence, you need something that will not break apart easily. Of course, you also want a harness that could last for more than just a few months. This way, you wouldn’t need to get your cats accustomed to a new harness again. There are typically 2 types of harnesses – a vest harness or H-style harness are both very unique in their styles and offer different types of security. these are are typically harnesses that have a collar around the next and the chest and are connected by a strap. 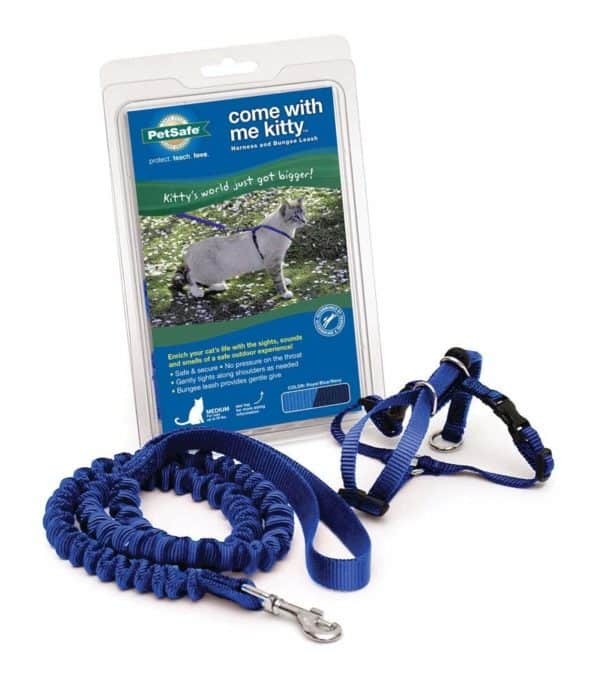 The Petsafe Come With Me Kitty is an example of a typical H-style harness. 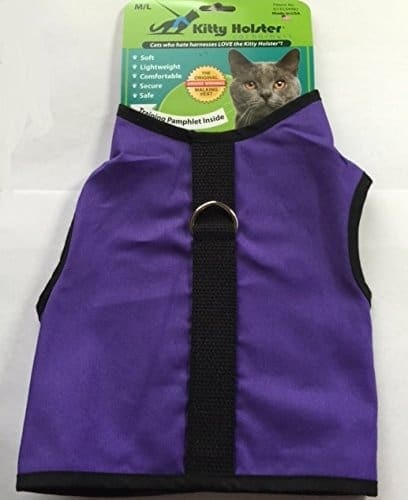 The vest style offers more coverage by having fabric from the next to the middle of the chest and for more skittish cats this may be a better alternative as it makes them feel more secure. 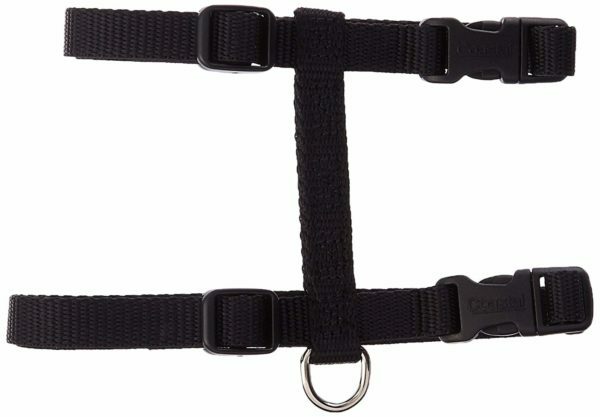 The Pupteck Cat Harness is a perfect example of a vest style harness. Based on the criteria mentioned above, here are some of the best suggestions when looking for a cat harness to suit your feline. Be sure to look closely to learn more about your options. As perfect kitty parent we understand that wanting your cat to be stimulated – but safe is your top priority! Cats love to be outdoors – and they should be able to do that to keep them happy, but finding the right harness that will prevent them from escaping is a critical part of this experience. The PetSafe harness has exceptional reviews and is our top pick for the best escape proof cat harness for many reasons as we outlined below! Some owners report their cats can actually get out of the harness. Our next top pick is the Kitty Holster brand of cat harnesses which are comfortable and reliable! The harness is made from 100% cotton and has a metal ring so you can easily attach your favorite leash. What we really love about this specific cat harness is the velcro that is used for closing the harness. No tricky clasps to work with – just attach the velcro and you are done. NOTE: The velcro is on the belly of the cat so it can be a little tricky at first. Also note that you need to use caution with long hair cats with this harness to avoid getting the hair caught in the harness. The vest style harness by Pupteck is another fantastic option that will keep your pet safe and secure while cruising around the yard. The velcro closure sits at the front of the vest under the belly and the top side features a ring so you can easily attach a leash. A snap closure at the next adds extra security ti prevent our cat from slipping out. The double-D ring offers an extra layer of security for cats that like to chase. The velcro they use is extra soft for the softest experience for your cat. Choosing the right harness is a must when you have cats. Walking a cat is such a great experience and doing it even once would be fun. Cats are not just designed to stay indoors, taking them out on a walk can allow you to rediscover new things about your pet too. Based on this list, the best one appears to be EcoBark Maximum Comfort & Control Harness. This attractive harness may be a bit tricky to order. But if you get your measurements right, you will have a great tool to walk your cat. Walking a cat can be challenging though. For this, you need to have the right equipment to ensure kitty’s safety. Finding the best cat harness no escape leash is certainly a must. TinPaw is a participant in the Amazon Services LLC Associates Program, an affiliate advertising program designed to provide a means for sites to earn advertising fees by advertising and linking to Amazon.com.